The Veterans have a new Sweetheart - Click on the image to download the New Nostalgic Souvenir Album Now ! 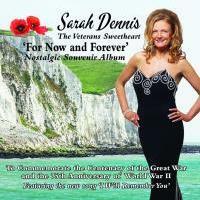 Download the New Nostalgic Souvenir Album 'For Now and Forever' Click the Album Cover Now ! Sarah takes her role as Veterans Sweetheart very seriously, she is targeted to raise £1 Million for Veterans Charities by 11/11/2018. For progress to date see here. Sarah wants every child in the country to have been given the opportunity to remember a hero from WW1 via the Remembrance Card project which is part of the FREE schools Activity pack - Download here. It has 2 main aims, the first being educational and then of course the fundraising side of things. Sarah will be working with the children in schools around the country to teach them the song and to raise awareness and understanding of the sacrifices made so that we all may be free and of the important work of the Charities who help our Veterans. Please contact Shiny Music Now to discuss your fundraising project and to see if we can help one another to help others. Should You wish to order a copy of the CD to be posted to you Contact Shiny Music Management for details. 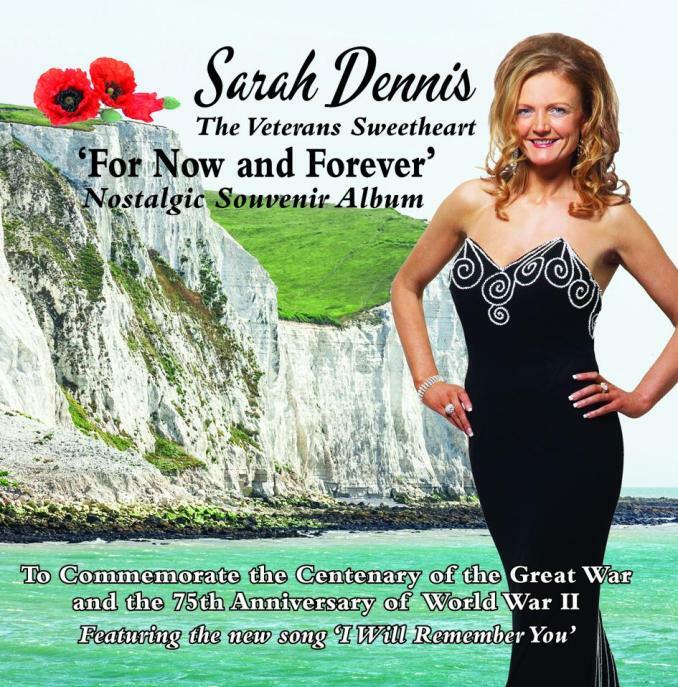 Sarah has been Performing throughout the UK now for 25 Years and has entertained at many Gala Dinner Events for the Annual Reunions of the Veteran's of the Army, Navy and Royal Air Force. She is much sought after for this type of event because of her infectious cheeky personality coupled with her exceptional vocal range.From Sultry Crooner of beautiful love songs and torch songs, to the Operatic Style of singing associated with some of the Traditional songs of the Era of the Great War, to the Passionate delivery of the Nostalgic Anthems from the era of the second World War. The Veteran's Sweetheart is available for appearances and bookings at such Events as wartime events, charity events, corporate functions, vintage tea parties, weddings or for any special event! Based in Manchester but willing to travel throughout the UK to bring you the songs of the Era of the Great War 1914-1918 as well as from the 1940s and 50s. BBC Radio InterviewSarah talks to Radio Lancashire in an exclusive interview!